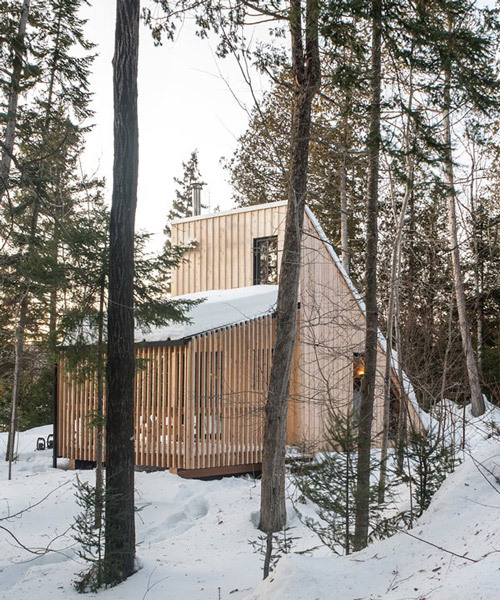 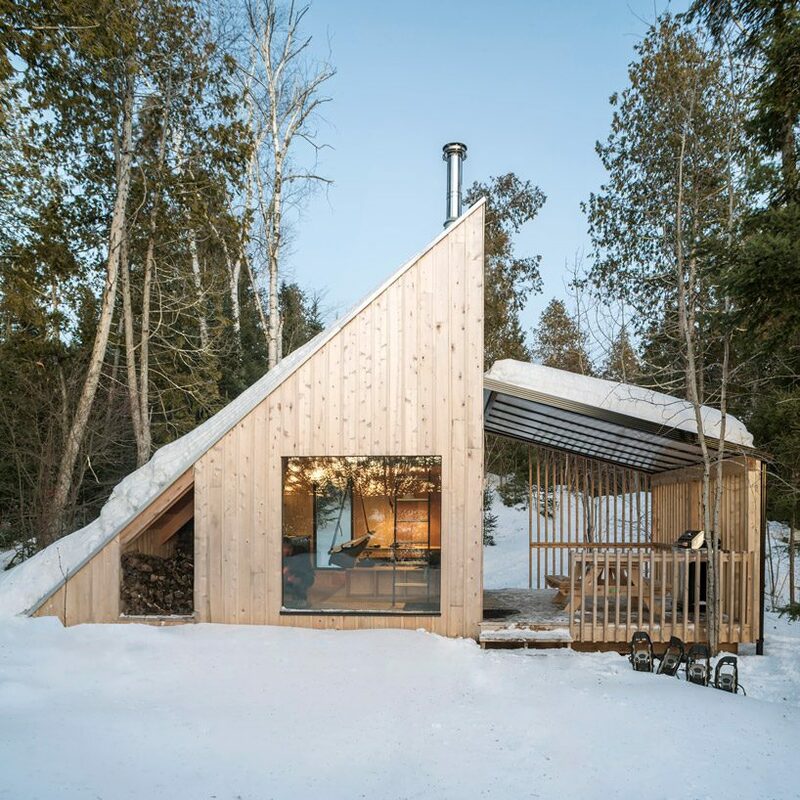 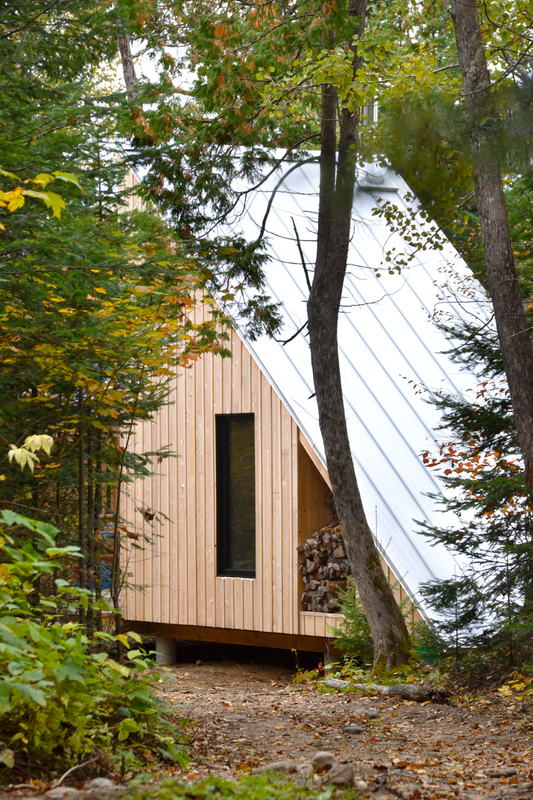 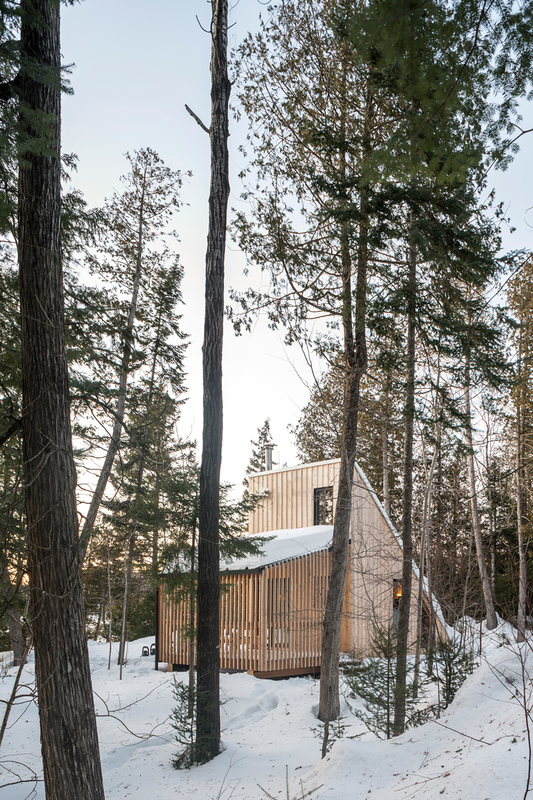 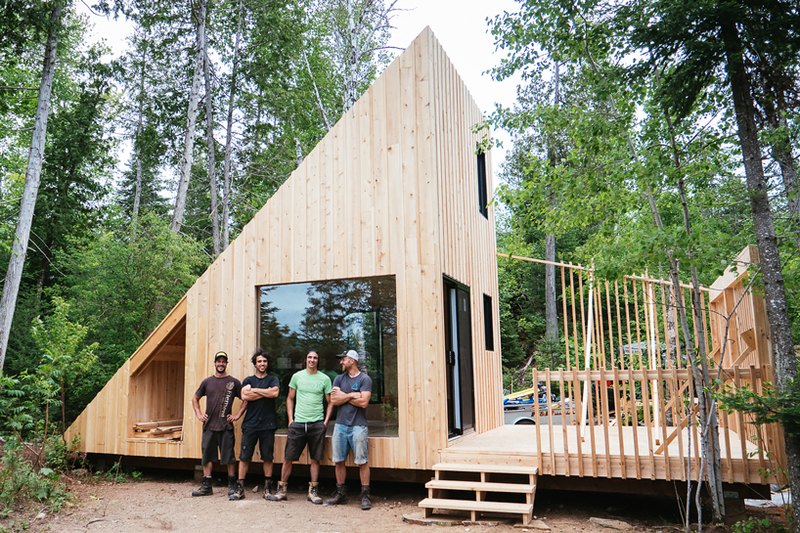 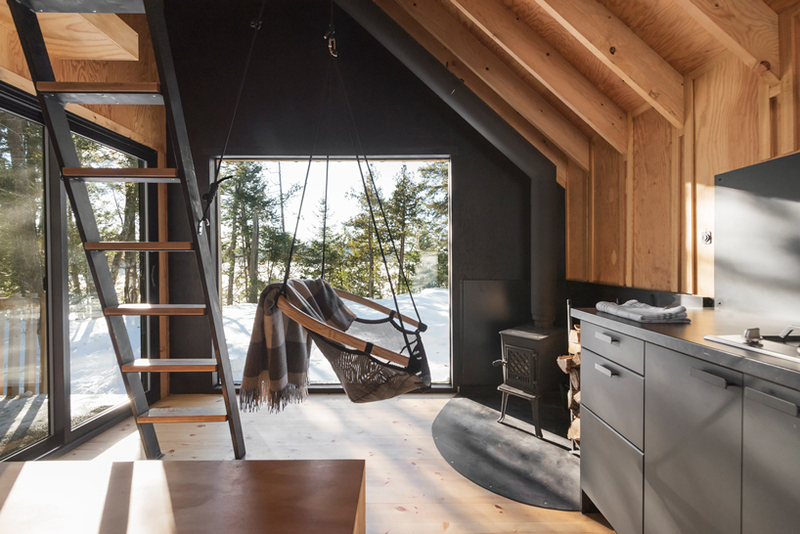 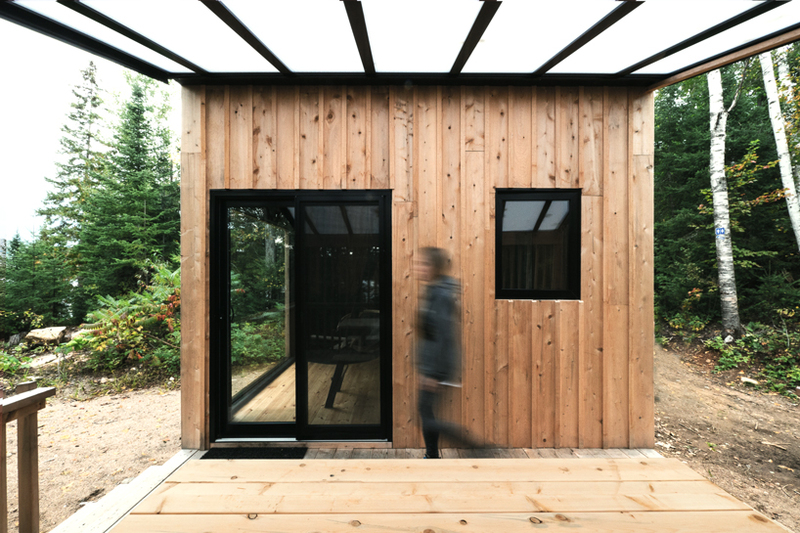 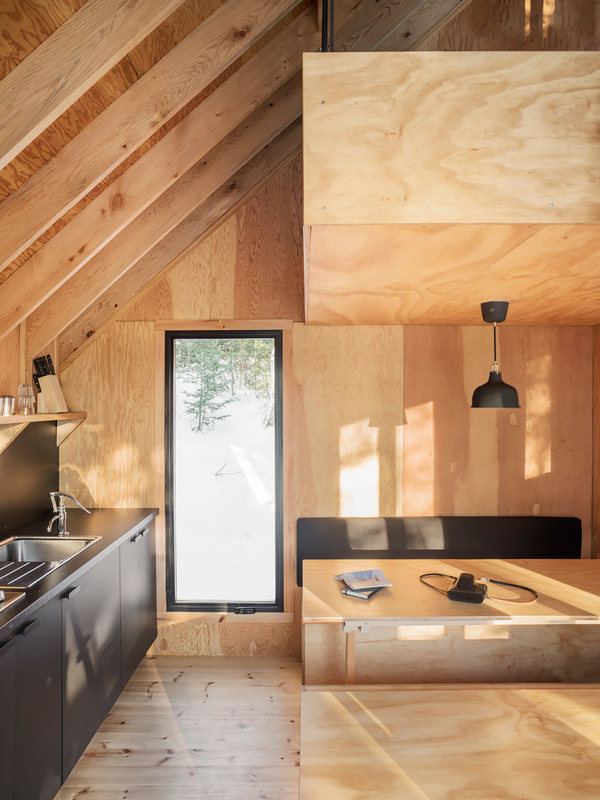 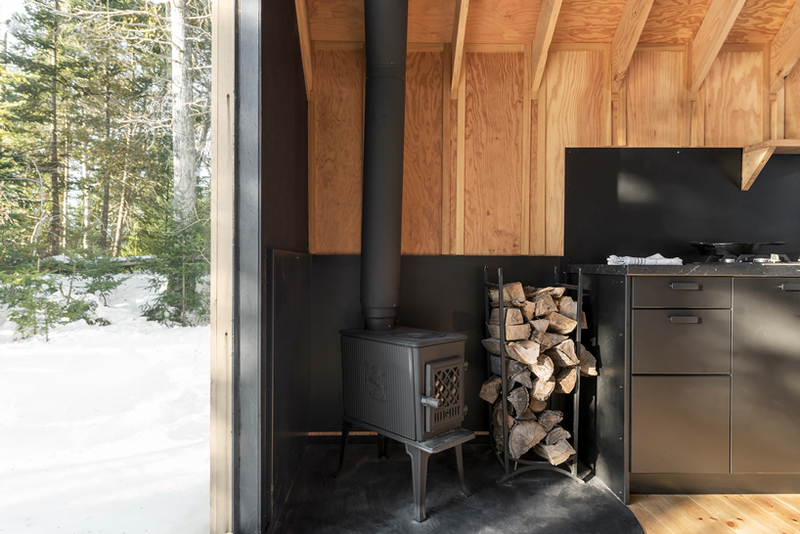 the small, off-the-grid building, capable of hosting two to four guests, was built on site by l’abri’s construction team. 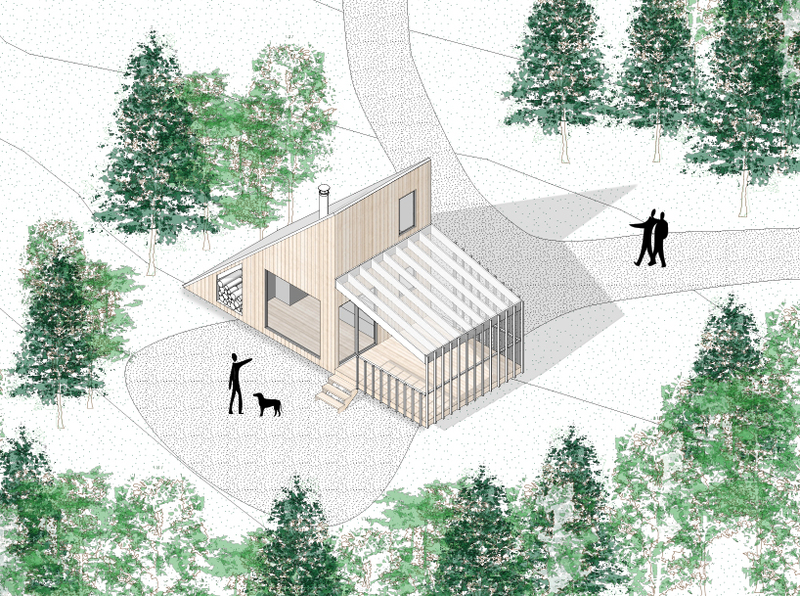 a trail leads to the micro-shelter located ten minutes by foot from the reception. 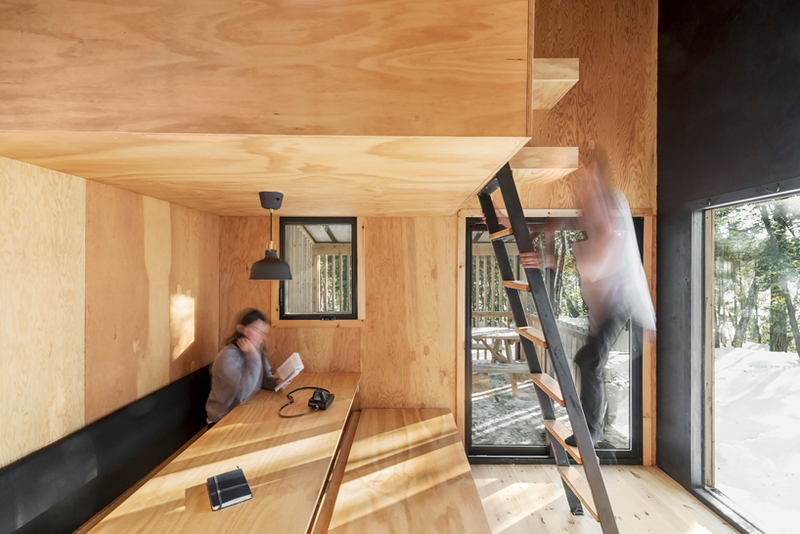 the interior spaces are minimal and bathed in natural light. 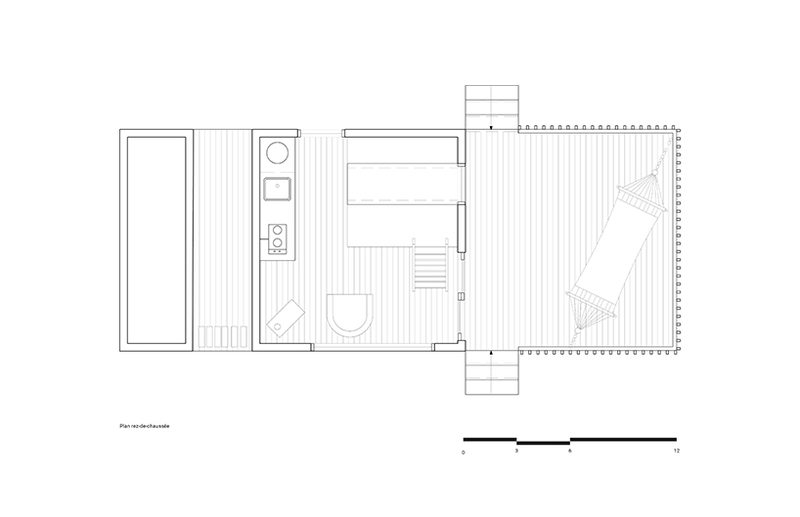 a kitchenette and a table converting into an extra bed occupy the first floor. 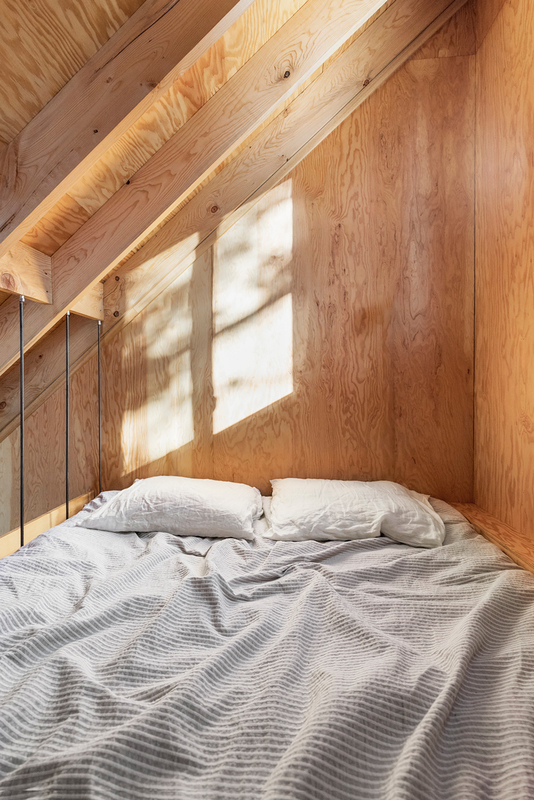 an inclined ladder leads to the bed, suspended in the cathedral ceiling by steel rods.